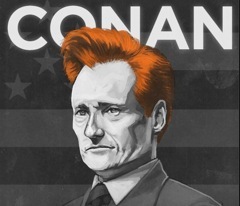 Team Coco is coming to DC on June 8th! He’ll be doing a live show at DAR Constitution Hall that night called, “A night of music, comedy, hugging, and the occasional awkward silence.” Here at We Love DC, we’re strong proponents of Team Coco, so we’ll probably be there that night, look for us screaming like girls at the Beatles on Ed Sullivan. Good luck getting tickets. I’ve been looking for an hour for two together with no luck. Thanks so much for posting this! I would have missed it if not for the post. I got my tix this morning. This is going to be one fun show! No tickets left together. Scalpers are already offering them for 2-300 per ticket. Got my tickets shortly after it was announced. Can’t wait for a live string dance !